NASAs Dawn spacecraft achieves orbit around dwarf planet, Ceres! SWEET! For the first time in history, a NASA spacecraft has achieved orbit around another planet: the dwarf planet Ceres. 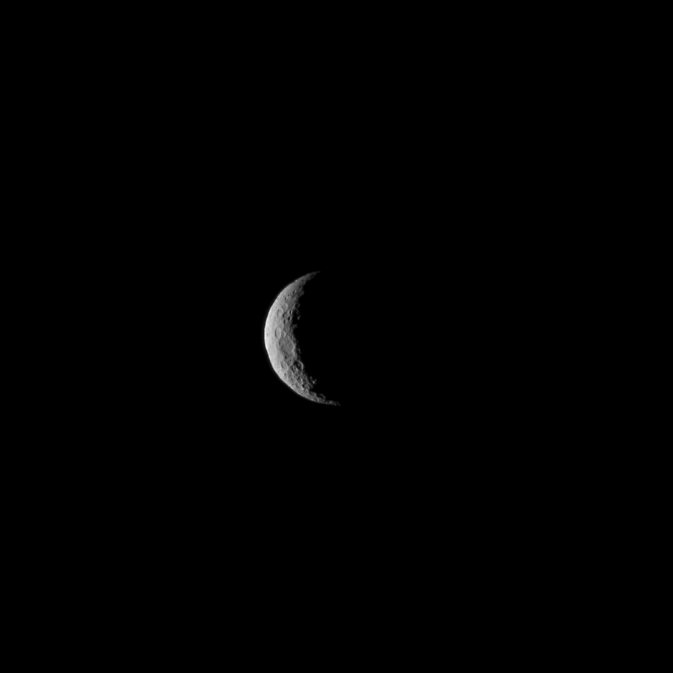 Ceres is seen from NASA’s Dawn spacecraft on March 1, just a few days before the mission achieved orbit around the previously unexplored dwarf planet. The image was taken at a distance of about 30,000 miles (about 48,000 kilometers). The spacecraft was approximately 38,000 miles (61,000) kilometers from Ceres when it was captured by the dwarf planet’s gravity at about 4:39 a.m. PST (7:39 a.m. EST) Friday.